In comparison to many countries and jurisdictions around the world, the UK gambling laws are extremely relaxed, meaning you’ll be playing roulette at both online and bricks and mortar casinos for real money with little or no problems. Online casino play has no restrictions at all, you’ll be able to play for real money as long as you’re able to use one of the many funding methods available. Playing at an actual casino might require you to register there, although this is not always the case, as you’ll be able to walk in and play at some particular sites. The following article takes a detailed look at the UK casino scene. Firstly I’ll take a look at the online scene, including the games available and the types of online sites you’ll be able to play at. Then I’ll move onto bricks and mortar casinos in the UK, starting with a look at the casino hotspots around the UK, and then taking a look at the actual games you’ll be able to play. You’ll be able to join a large number of online casinos, both from within the UK and outside when playing roulette online for real money. You’ll be able to play at dedicated online casinos and sites which include a casino as part of their larger gambling offering. You’ll simply register at these sites, deposit funds and you’ll be ready to play. Online casinos have a greater variety of games available than land-based casinos, as virtual software has no bounds, so you’ll find all kinds of variations of games, as well as the traditional versions. For example, you’ll be able to play European, French, and American Roulette as standard, but you’ll also find multi-wheel Roulette, bonus round Roulette, Mini Roulette, Pinball Roulette and many others not available in a real casino. On occasions, you’ll find the same games across a number of casinos. This is due to the fact that there are a number of companies who develop the casino software and offer licenses to individual casinos, meaning many casinos use the same software. In recent times, the online casinos have moved the game on by offering a live casino environment. These games feature a live stream from a dedicated casino studio, so you’ll be playing at a live table with an actual live roulette dealer. These games are the closest you’ll find to the real casino experience, the games being hosted by attractive females adding to the popularity of this form of casino gambling. They have easy deposits, generous roulette bonus and a great selection of single zero roulette games to play for real money online while enjoying the interaction with its British live dealers. 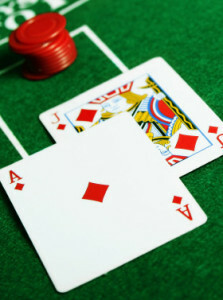 UK casinos are generally smaller in size than you’ll find in other countries, although you’ll find many places to play. The gambling act in 2005 did actually pave the way for resort-style casinos to be built, however, legal challenges have meant this is yet to come to fruition. You’ll find electronic based casino games in thousands of locations across the country at high street bookmakers, as well as fruit machines (slots) in the majority of bars throughout the UK. There are thirty casinos in London, the Empire in Leicester Square being one of the larger, with smaller venues located around the suburbs. Many of these sites are part of chains and offer something for everyone. For high rollers, The Clermont Club, The Ritz, and Crockfords offer some very high stakes games for high rollers. London leads the way in terms of size and quality of casinos when it comes to the UK. Birmingham is the second largest city in the UK and the sites here are generally smaller and are parts of the Gala or Grosvenor chain that cover the UK. The rest of the Midlands has many more options, Nottingham, in particular, hosting many of the UK’s bigger poker series. You’ll find a large number of mid-sized or smaller casinos, once again normally as part of the chains around the UK. The most popular games in UK casinos are Roulette and Blackjack, taking up much of the floor space of the sites. Some casinos will also have dedicated poker rooms, hosting both tournaments and cash games. You’ll also be able to play casino poker, Baccarat, and Pai-Gow as well as a good selection of slots in the casinos. Craps is not as popular in the UK as it is in other parts of the world; however, you will be able to find a game in some of the larger casinos. Some of the biggest UK gambling sites that offer casinos are listed on the UK Stock Market and have headquarters in the UK, many licensed and regulated in Gibraltar. Gambling companies are free to advertise in the UK as long they meet their licensing requirements. This means you’ll regularly see gambling advertisements on TV and companies are regularly seen as sponsors for sporting events, the company names appearing on the front of shirts in the English Premier League as an example.